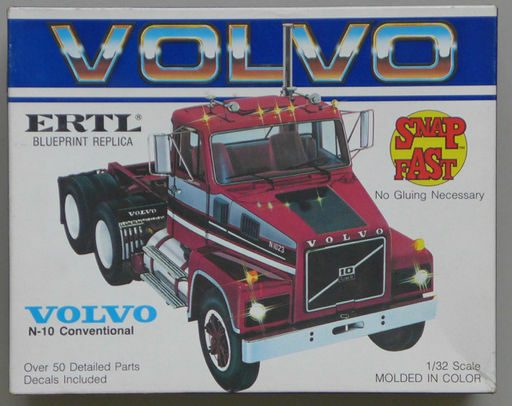 Ertl's first truckkit..the rare International 4070. Credits to Huub van der Steld for providing these new pictures and scans. Credits to Charles Mitchel for providing the scans and pictures. Model of the 'Rubber Duck' truck from the movie 'Convoy'. If you want to correct this kit to the actual model, aftermarket resin conversions are available. Credits to Roger MacDonald for providing the scans and pictures. Credits to Hessel Hemstra for providing the scans and pictures.